Verizon Asks Can You Hear Me Now? I have just posted my sermon, Can You Hear Me Now?, for Sep 30, 2007, to my sermon blog. This is my reflection on the lectionary reading, Luke 16:19-31, the story of the rich man and Lazarus. Have a great day tomorrow! We’re rolling over 30,000 page views by this weekend! Add me to your blogroll and I’ll add you to mine! So send me an email or comment on this post, and I’ll add you to my blogroll for all the world to see…if you’ll do the same. There’s lots of good stuff out there and together we’ll reach more people with more good stuff. Okay, I’m waiting…. I read yet another article today on “How You Can Make Worship More….Something.” I forget exactly what the author said, but it amounted to doing better music, preaching better sermons, screening better videos, and so on. Which is really not reinventing worship at all. Preaching with or without video. Okay, so more contemporary worship appeals to a younger crowd. But you still have a spectator vs. performer setup — lots of people watching a few people do stuff they call worship. I remember going to a temple in Taiwan (stay with me for just a minute here), and being amazed at the riot of activity taking place around me. Of course, tourists were everywhere, wandering around while worshippers were saying prayers, burning josh sticks, and talking to monks. I think this was a Buddhist temple, but I’m not sure. Anyway, my point is that a lot of stuff was going on at the same time. Of course, we’re not Buddhists, but that got me thinking that the Temple in Jerusalem had a similar atmosphere — lots of stuff happening all at once. We know in the Jerusalem Temple (I’m thinking 1st century now) people came to make offerings, do sacrifices, give money, listen to teachers, and on high holy days, participate in communal ritual. And where did the first followers of Jesus worship? In the Temple. Why couldn’t we go back to a more participatory, multiple experience worship? Some emerging churches are staging labyrinths, video meditations, prayer stations, and table fellowship — all going on at once. Small churches can do this in very limited space. Actually, churches without buildings can do this in borrowed or rented space. I realize that this would take a big leap of imagination, but reinventing worship might be the small church ticket to reaching a new generation or a different demographic. Of course, most of us in small traditional churches would keep our tradition worship service. This would be a new thing designed to appeal to a new set of worshippers. For a visual of what this might look like, go to a really cool site, small ritual. You have to scroll sideways to see the space design and read the explanation. I think it has real promise for the future of the small church. What do you think? 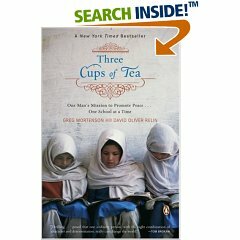 Three Cups of Tea, by Greg Mortenson and David Oliver Relin, is a book you must read. Without knowing that it was already a bestseller, I ordered Three Cups of Tea: One Man’s Mission to Promote Peace One School at a Time. It arrived on Friday. I started reading it on Saturday. Tonight is Sunday and I just finished all 338 pages — it is that good! Download mp3 of Eternal Economics. 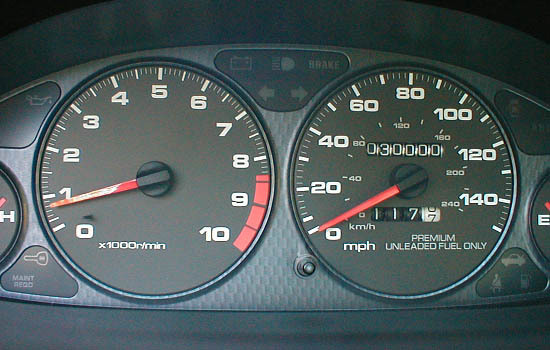 In the best-selling book, Freakonomics by Steven Levitt and Stephen Dubner, the authors examine several interesting economic problems, like “Why do drug dealers live with their mothers?” The conventional wisdom is that drug dealers make a lot of money and drive pimped out luxury cars with 17″ chrome wheels and a sound system that produces more decibels than a 747 taking off. At least that’s the picture the media presents, and the one that’s in our community consciousness.